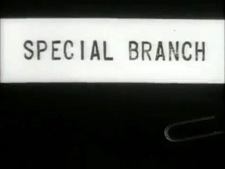 Special Branch: Mystery and Suspense on Television. This gritty, realistic police procedural focuses on the Special Branch of London's Metropolitan Police — a force dedicated to stopping terrorist activities and countering espionage in the nation's capital. 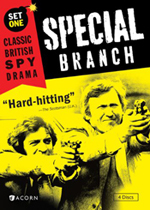 With an exceptional cast that includes George Sewell, Patrick Mower, and Richard Leech, Special Branch is a suspenseful ride through the underbelly of Britain's international affairs. The series aired for four seasons — 1969, 1970, 1973 and 1974 — on ITV. The DVD labeled Set One is actually the third season of the series.